Can Windows Phone 8 turn things around for Microsoft? It has been two years since Windows Phone launched, yet today it sits as a distant last place competitor in the smartphone market. Despite two years of effort, Microsoft now holds a lower market share than it did in 2010. Things couldn’t be much worse for Windows Phone. Later this month, we will see Microsoft’s third major push to gain momentum with its Android and iPhone alternative. No one can accuse Microsoft of not trying, but will its persistence and self-belief pay off with Windows Phone 8? Let’s take a closer look. You may not believe it, but Windows Mobile once claimed a 42 percent share of the U.S. smartphone market — though it was a much smaller and much different market than the one we know today. Things began to change quickly when the iPhone came out in 2007, followed by Android in 2008. By 2009, Windows Mobile’s market share was down to 15 percent. That heavy decline is even worse than it looks because the smartphone market was drastically increasing in size during that period. Windows Mobile was vastly inferior to the competition (at least in the eyes of consumers), and in 2010 Microsoft scrapped it completely and launched a new operating system built from scratch: Windows Phone 7. There’s no denying that Windows Phone is a lot better than Windows Mobile, but its failure has been nothing short of spectacular. Last summer, Microsoft CEO Steve Ballmer summed it up bluntly, saying that with “phones, we’ve gone from very small to very small.” That trend has continued as Windows Mobile has gradually faded away and Windows Phone has failed to grow. The release of Windows Phone 7.5 (Mango) a year ago and Nokia’s first Windows Phones promised much, bult have both failed to deliver any significant gains. In July this year, Nielsen revealed that Windows Phone held just 1.3 percent of the U.S. smartphone market. That statistic compared rather embarrassingly with a 3 percent share for Windows Mobile. What does Windows Phone 8 offer? Microsoft revealed some Windows Phone 8 features at a press event in San Francisco back in June and showed a little more at the event with Nokia in September. WP8 offers better integration with the Windows platform and that should make life easier for developers. It also means solid enterprise management support and a big potential play for enterprise adoption. The terribly strict hardware restrictions on Windows Phone 7 have been ditched so better hardware is supported and there’s more room for differentiation. That includes microSD cards, three screen resolutions, and multi-core CPUs. The OS also now has the ability to take screenshots and there are lock screen notifications tied directly to specific apps that support push notifications, bringing it up to speed with Android and iOS in a few ways. You’ll also find features like NFC support for a digital wallet payment system, more customization options with improved Live Tiles, and a series of lenses for onboard camera effects. Throw in Nokia Maps, Internet Explorer 10, and Skype with VoIP integration, and the new platform looks a lot better than the old one. Claims like this have some predicting big gains for Microsoft in mobile, including Gartner and IDC, who predicted that Windows Phone would overtake iOS to claim second place in the smartphone market by 2015. Of course, many of those same analysts predicted a much stronger comeback for Nokia. You’d be forgiven for asking if it’s too late for Windows Phone 8, but there are still believers out there. Bet against Microsoft and its fans will point to the huge losses it incurred on the Xbox platform before finally winning out in the U.S. videogame console market. If we’re going to consider the potential success of Windows Phone 8 then we have to look at its next round of devices. Microsoft previously denied it will make its own smartphones to run WP8, but that was a while back and the rumors won’t go away. Anonymous sources have told BGR and WPCentral that a Microsoft-branded Windows Phone is imminent, but that it won’t launch in the first wave of WP8. For now, at least, it is relying on its partnership with Nokia and some of the other top manufacturers to kick-start the platform. Early signs are very positive with Samsung, HTC, and Nokia all announcing competitive Windows Phone 8 smartphones. The first surprise in the new WP8 line-up was the Samsung ATIV S. We knew that Samsung would release some devices, but having Samsung officially announce the first ever Windows Phone 8 smartphone did seem like a bit of a slap in the face for Nokia. 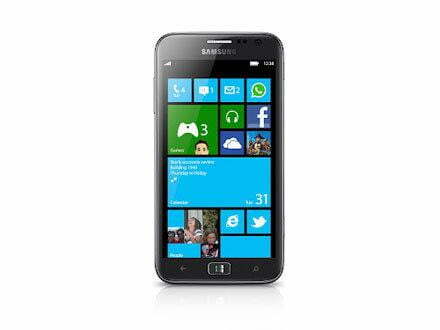 We are expecting to see more WP8 devices from Samsung before the end of the year. Next up was partner Nokia in a joint event with Microsoft which also included a peek at the platform. The flagship WP8 device is the Nokia Lumia 920. The Nokia Lumia 820 also made an appearance. The whole demo focused heavily on the leading smartphone camera technology, but it was soured a little in the days that followed when Nokia had to issue an apology for a faked PureView video ad. We also saw some handy looking AR (augmented reality) in the shape of Nokia City Lens. The HTC 8X and the 8S will be the first Windows Phone 8 devices from the troubled manufacturer. With Samsung dominating the Android world, HTC hopes to claim the flagship WP8 smartphone and drive adoption of the new platform. There will be other partners releasing WP8 devices. Huawei has already announced that it will release WP8 smartphones before the year’s end. We think Acer will release a WP8 device next year. Asus and Sony are flirting with the idea, but don’t hold your breath. A welcome alternative or a third wheel? It’s difficult to see what it offers that the leading platforms haven’t already covered, though. Sure there’s the security and enterprise angle, but with the Bring-Your-Own-Device to work trend taking off so widely it’s tough to imagine IT departments forcing WP8 smartphones on staff who would prefer an iPhone or the latest Android. On the other hand, the tie in with Windows 8 could really help drive sales and might be what Microsoft is banking on. “Our uniquely personal OS along with widespread partner support and the wave of excitement surrounding Windows 8 make this an exciting year for Windows Phone,” a spokesperson for Microsoft told us. Patent litigation may work in Microsoft’s favor. As manufacturers using Google’s Android OS continue to face lawsuits from Apple, more manufacturers may lean in Microsoft’s direction because of its existing cross-licensing agreement with Apple. What we don’t know is whether the fear of patent infringement suits is really enough to drive manufacturers away from the dominant platform with the highest penetration. Microsoft is hoping that it is. Microsoft also needs to better woo wireless carriers. The fact that none of the WP8 devices announced have fixed release dates or pricing comes in stark contrast to Motorola’s joint event with Verizon and Apple’s iPhone 5 announcement. Microsoft needs more than just AT&T to jump onboard. Good Windows Phones need to be on every carrier. Overall, we think there’s a good shot Windows Phone 8 could finally make a dent in the market. The new crop of handsets appears to finally compete with Android on processing power and Microsoft is trying to use color to show that its phones are different from the competition. But being “different” has never been a huge problem for Windows Phone. The biggest challenge for Microsoft will be how to make people crave that difference. There needs to be cool, notable features and talking points that will start spreading word of mouth, and Microsoft must eliminate lingering reasons that prevent customers from making the switch. The buzz over Windows 8 may help, but for Microsoft to really change its fortunes, it needs to take a cue from the late Apple co-founder Steve Jobs and create its own “reality distortion field.” Despite being on the market for two years, somehow, Windows Phone needs to become the magical hot new thing.